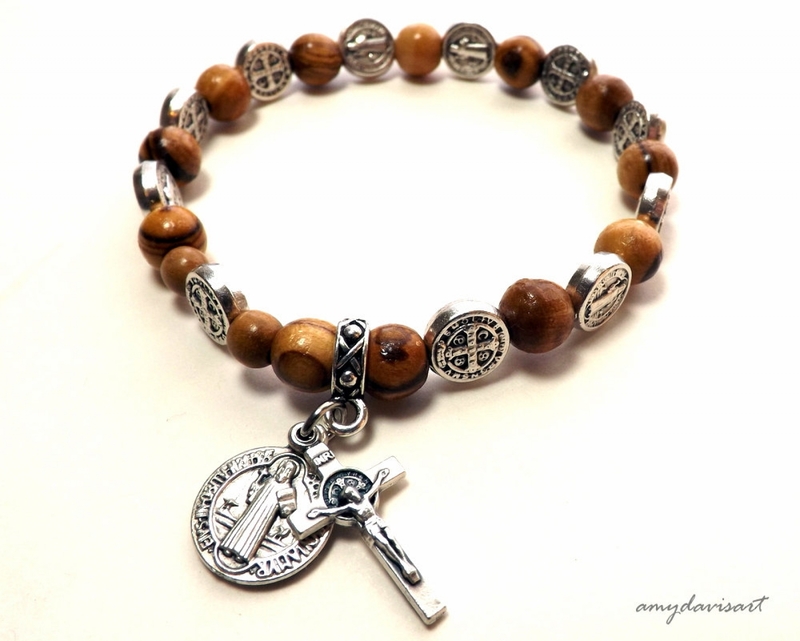 For this handcrafted rosary bracelet, I have used Olive wood from the Holy Land, St Benedict medal and crucifix, and detailed metal beads with an image of St Benedict on the front, and the Saint Benedict Medal on the back. 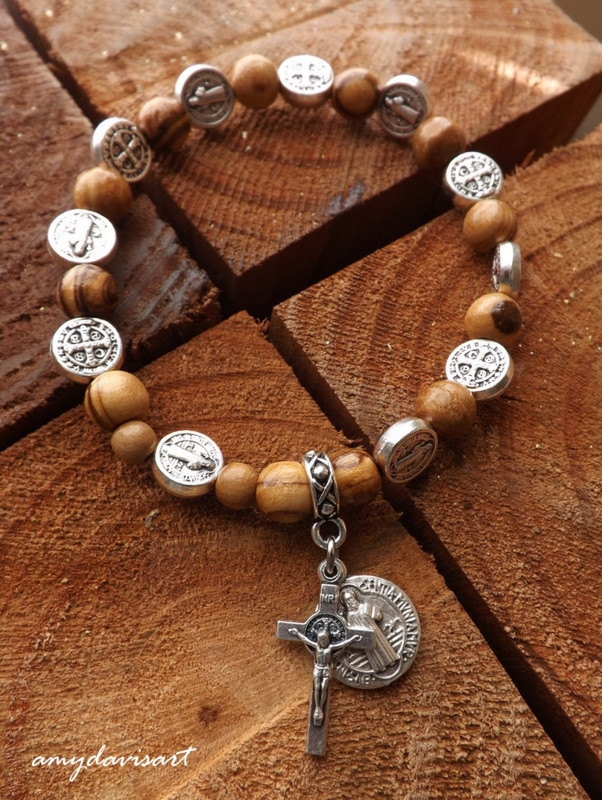 The metal beads, crucifix and medal are all made in Italy. 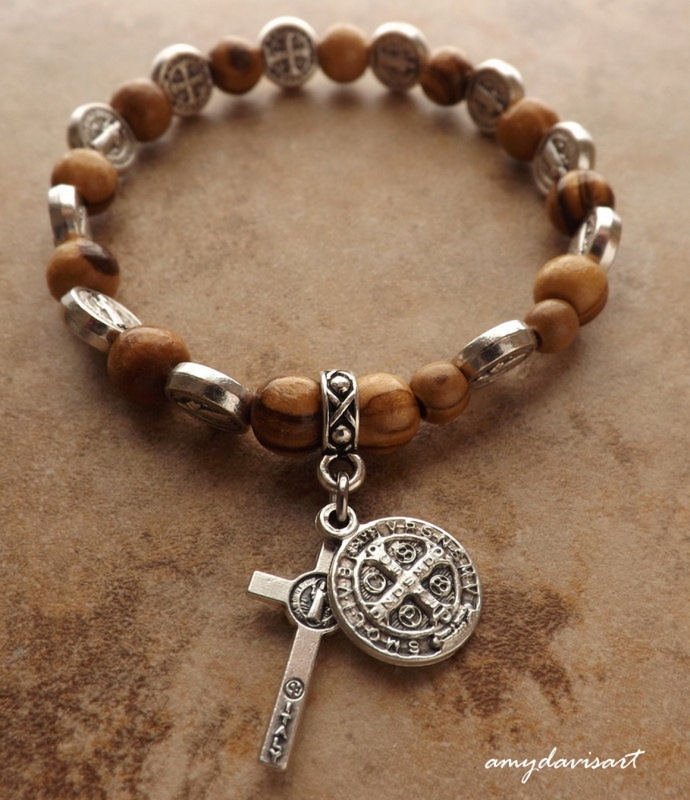 This bracelet can be worn by men or women and comes with a pamphlet about the St Benedict medal (including the St. Benedict prayer), then placed in a gift box with bow. 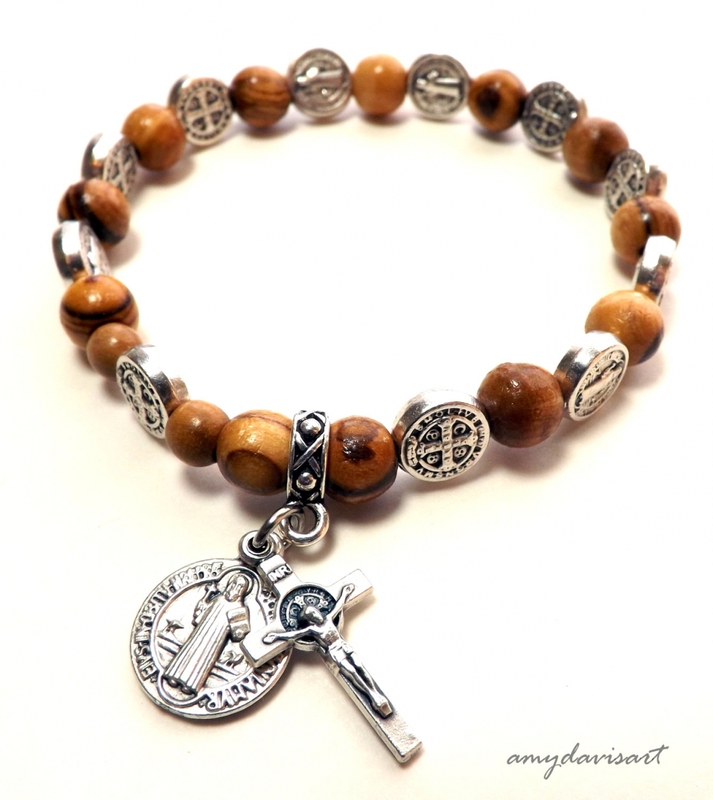 This one decade rosary bracelet makes a special gift for graduation, RCIA, confirmation, birthday, anniversary, Father's/Mother's Day and for many more occasions, or as something special for yourself! I make each bracelet to order, just for you. 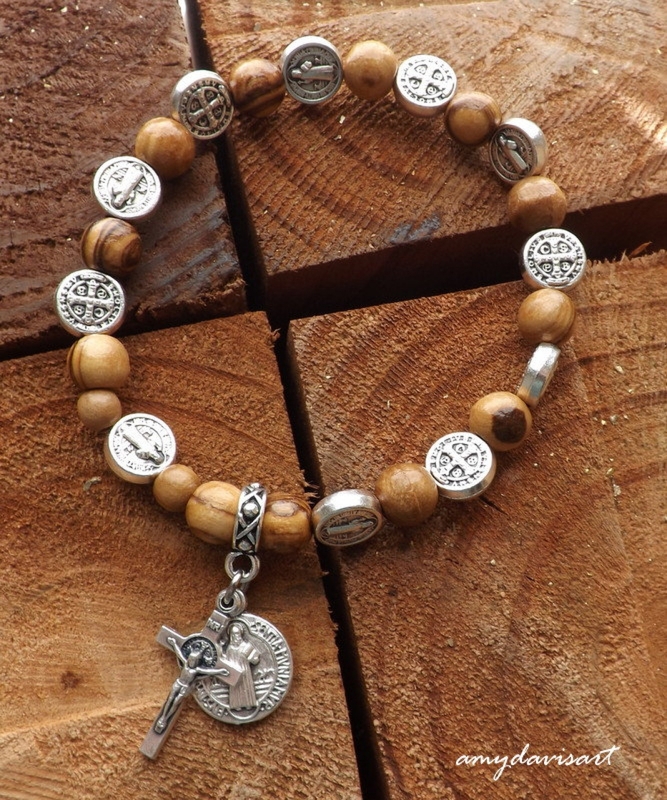 The one pictured was made for a 7" (17.78 cm) wrist; the design for other sizes will vary somewhat, but will still have the necessary beads for a rosary bracelet. If you would like a picture of yours after I have made it, please leave a note when checking out to let me know and I will happily do so! 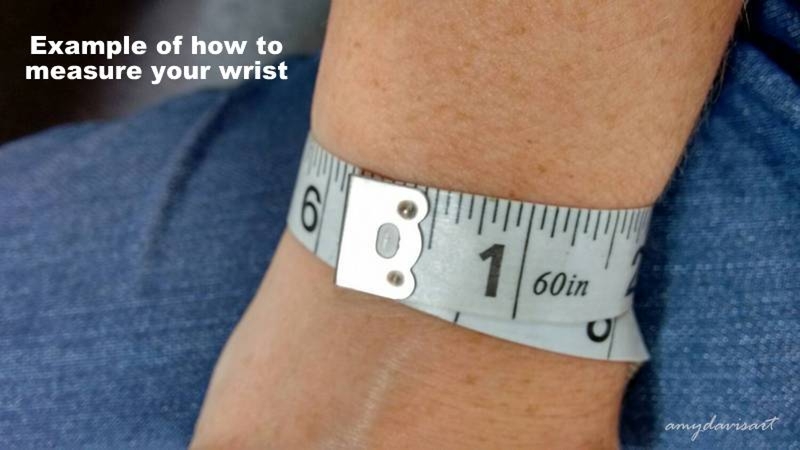 I will need your wrist measurement, and here is how to do that: use a soft measuring tape and measure around your wrist below the wrist bone, where you typically wear a bracelet (see photo). If you don't have a soft measuring tape, you can also use a piece of string; simply wrap it around your wrist, then mark it and measure it against a ruler. Choose your size from the drop-down box when checking out. - Made on professional quality reinforced stretch cord for ease of wear and to allow flexibility in sizing. 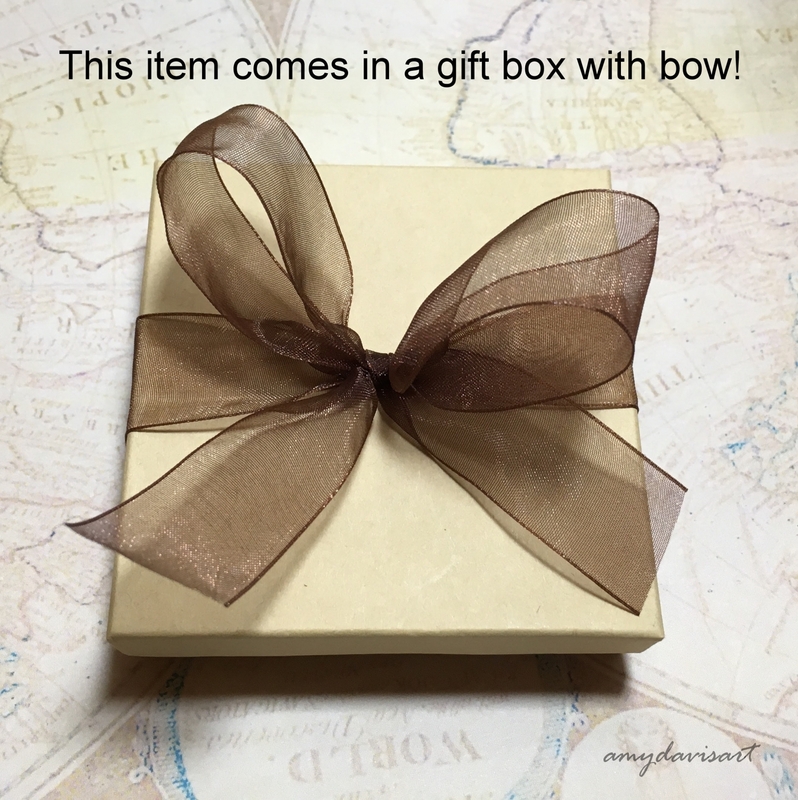 May this be a special blessing for you (or the person you gift it to) in your faith-walk! Interesting tidbits: St. Benedict is the Patron Saint of students and Europe. His feast day is celebrated July 11. The St. Benedict medal is also called the Jubilee Medal.